Are You Fat Curious? Have you ever wondered why the recent ‘thing’ that is fatbiking is the ‘thing’ that it is? What IS fatbiking all about? Do these monstrosities on wheels that seem to threaten the very fabric of all things biking & seem to have taken the cycling world by surprise even have a future? …Are some of the most popular responses we get from people seconds before they rubberneck crab-walk into a pole or stumble into oncoming traffic. We now have our list of cliche’d responses locked, loaded and ready to reel off to anyone who knee-jerk spouts their curious quandries at us on whilst out and about and we’re only too happy to respond. We think fatbikes are the BUSINESS! Granted it’s mainly because they are our business, but I mean before that, we thought they were the bomb. There just isn’t any other human powered experience out there we can think of that compares. Since the fat bike was born, people the world over have discovered that the fatbike has shifted biking into an entirely new realm i.e. people in the Northern severe wintery climates and everywhere else can now ride bikes all year round regardless of the weather and terrain conditions. You have to admit that that is pretty special. That knee-jerk inner-child-like gut-wrenching urge I’m talking about is perfectly normal and you should give into it. ‘Why, on earth should I listen to my inner child?’ I hear you ask, well; Well why shouldn’t you? Huh?!? It’s just a bike ride, it can’t hurt you and who knows it might just be good for you health, your well-being, your outlook and overall universal planetary instant karma. Those fringe benefits, dear friends, are in a nutshell exactly what riding bikes does for everyone the world over. Riding a bike, any bike, is exercise and exercise has an amazing ability to do all of those things 99% of the time, some have been heard to compare bike rides to low level flying . . . It doesn’t matter what type of biking you’re into BMX, Cyclocross, Road, Pennyfarthings, Uni-cycles or Mountain bikes (cross country, enduro, downhill etc) bikes have that certain something that just tickles all of those synapses in everybody’s heads. Fat tires on a bike just has that little extra wtf factor that causes jaws to yaw agape – albeit in open disgust or sheer wonderment (a.k.a. fat curiousity). I personally blame Google. A few years ago I happened upon the vernacular, the word ‘Fatbike’. It rattled my tympanic membranes and I responded in the most naturally modern way possible, I ‘Googled’ it. Needless to say my world quickly inverted and I was blown away forever – I just HAD to have one. I put out some feelers and my Surly Ice Cream Truck Ops was sitting in Galway waiting for me to collect her. It snowed a few days later and BAM my credit card got max’ed out after which I burnt off that post purchase angst by heading up to Ticknock, County Dublin the very next day to put her through her paces in the snow. 2016 is our inaugural season in the fatbike adventuring game and not quite knowing what to expect we have been pleasantly surprised to have several customers fall for fatbiking like the proverbial blind roofer. It’s been brilliant to not only have some come back a few more times but also bring along their friends & family. One of our team building tours over the summer with East Coast Physio next door to us in Ashford, County Wicklow has even featured in their suitably entitled ‘Cycling – Friend or Foe?’ blog recently. That right there is pretty damned conclusive I reckon, fatbiking is now officially being prescribed by professionals!! 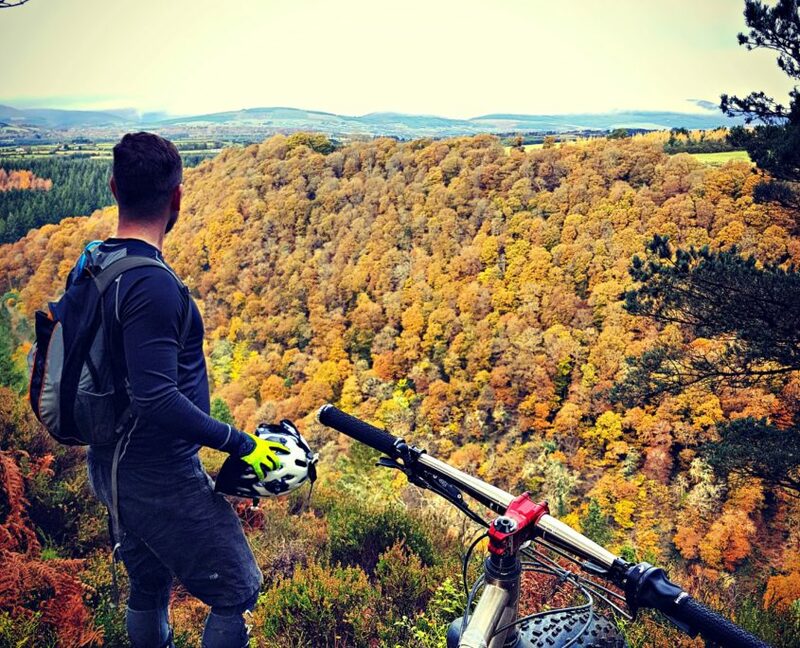 The East coast of Ireland is wonderfully blessed with mtb bike trails and with the recent hosting of the 2015, 2016 & 2017 Enduro World Series, Ireland is rapidly becoming known as a must see European tour mtb destination. The mythical status of Guinness Irish beer, the emergence of Irish craft beer, banter and good ol craic now means you can congratulate your post fat tire bike experience with some locally crafted beer. How could that possibly go wrong! Editors note here – please drink responsibly. Our fleet of fatbikes now includes Mondraker childrens bikes, Surly bikes, Rocky Mountain bikes and of course the beautifully hand made REEB bikes. We feature a range of different rigid and suspension forks for the fat-curious to test on our fatbikes including the wacky looking Lauf Carbonara and the Rockshox Bluto. If you’ve already gone full fat and are looking to upgrade, come and speak to us, we also supply the legendary Gates Carbon Drive, Rohloff internal rear hubs and Nextie carbon rims. If you want to learn or see more about the fatbike tours we offer and what it is that we do, checkout our latest video collection here & below from the recent 1st winter snowfalls in County Wicklow. Follow us on Facebook, Instagram or Twitter. Get in touch to book your tour asap and remember a fatbikes aren’t just for Christmas. https://fatbikeadventures.ie/wp-content/uploads/2017/11/Fatbike-Adventures-Devils-Glen-Twitter-845x684.jpg 684 845 Sean https://fatbikeadventures.ie/wp-content/uploads/2017/11/FBA-Logo-banner-White-300x183.png Sean2017-11-22 16:46:172019-01-13 11:34:19Are you Fat curious? Wicklow Redcross/Avoca Fatbike Snow Racing – Are You Hard Enough?